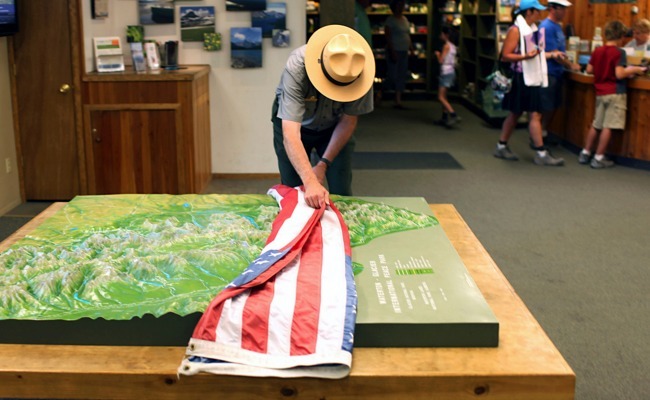 From national parks to medical research, cuts are undermining what makes America great. Yet Republicans seem set on shutting down the government or even default. As readers of my past columns know, I was not exactly optimistic as we approached crunch time over the debt limit in 2011. But I am far more pessimistic now. At a dinner I attended Monday night with a host of those individuals deeply involved in fiscal matters, it became clear that there are no talks going on now — neither formal nor back channel — to avoid a series of crises over spending and the debt ceiling. The House majority is in profound disarray, unable to muster majorities for anything on the spending front as the new fiscal year approaches. In a misguided attempt to mollify his radicals and avoid a government shutdown over the demand to abort Obamacare, House Speaker John Boehner has instead turned the focus to the debt ceiling. His earlier assurance that he and his party would not play games with the nation's full faith and credit turned into a pledge weeks ago into to invoke the "Boehner Rule," insisting that the debt limit be raised only by an amount equal to additional new spending cuts — meaning trillions of additional dollars piled on to the $2.5 trillion in cuts already made (but of course with no specifics about what he would want to cut). And it is clear that a slew of Republicans inside Congress, bolstered by forces outside like Heritage Action, will push their crusade to crush Obamacare by holding the debt-ceiling hostage. In 2011, when the intensive negotiations between Boehner and President Obama broke down, Senate Minority Leader Mitch McConnell stepped in at the 11th hour to fill the vacuum and avert a default. When Boehner declared that he would not participate in any negotiations over the fiscal cliff, McConnell partnered with Vice President Joe Biden to fill the vacuum. This time? There will be no McConnell; the minority leader is so cowed by the challenge to his renomination from the right that he will not be a party to any "compromise." And the informal negotiations between Obama, his Chief of Staff Denis McDonough, and a group of Republican senators led by Bob Corker have broken down, at least for now. At this point, I will be surprised if we do not have at least one partial government shutdown within the next month or two, and I fear there is a high chance of a real breach in the debt ceiling, one that may not last for a long time, assuming that the markets react violently to something they still believe will not really happen, and that voters react to the notion that the U.S. will pay its creditors in China before it pays its troops in Afghanistan. But a default this time will have devastating consequences, meaning a downgrade in our credit by all ratings agencies and a spectacle to the world of spectacular, self-destructive dysfunction. I could go on, but I want to focus instead on the damage already occurring from the 2011 deal, via the sequester. The mindless, across-the-board budget cuts in domestic and defense discretionary spending were openly and deliberately designed not to occur — the idea was to spur the "supercommittee" created by the deal to do a broader fiscal bargain, along the lines of the Simpson-Bowles proposal, to avoid sequester catastrophe. But the "no-taxes" pledge killed the chance for that broader deal. We have had one year of the sequester, and are approaching the second tranche. The damage to the country and the fabric of governance was not immediately apparent — this was not like the roof of the American house on fire, but more like a particularly potent group of termites eating out the foundation. But its impact is becoming more apparent and more alarming. This August, I went with my family to Glacier National Park, a place of awesome beauty, which reminded me again that our national parks are a crown jewel of our wonderful country, and that our park rangers are themselves wonderful monuments to public service. But I could see small signs of the deterioration caused by the budget cuts — facilities closed or curtailed, maintenance deferred. In several parks, such as Yellowstone, private contributions kept the worst disruptions from occurring, but that will not happen when the second wave of cuts take effect. Roughly 279 million people visited national parks in 2011; the parks are more than nice places to visit, because they generate huge amounts of economic activity and jobs in the areas around them. Hundreds of millions of dollars in cuts will jeopardize billions of dollars in economic activity. Then there is the FBI, which faces staff reductions of 3,000 and two-week furloughs without pay for 36,000 agents and their support teams. As a consequence of stupid and destructive sequester cuts, the FBI, according to former Director Robert Mueller, is going to have to move resources away from violent crime and white-collar business fraud to cover the more-pressing concerns of cybersecurity and national security. Great tradeoff, isn't it? Now consider the National Institutes of Health. Francis Collins, the remarkable scientist heading up the agency, has said that the sequester is devastating medical research: 650 grants that have been rated in the top 17 percent by peers in terms of potential for success will not be funded this year, along with a number of others that have been funded for years but cannot be renewed because of the cuts. No one can tell which of these research projects would have resulted in a medical or scientific breakthrough — but the odds are overwhelming that some of them would. For no good reason, we are sharply reducing the chance of extending lives and alleviating suffering. In the meantime, young scientists are demoralized. Some will leave the field, and others will accept better opportunities in China, Singapore, Australia, or other countries eager to fill the vacuum left by our mindless policies. A rational political system would find a way to bring budget discipline without endangering these areas, along with food safety, homeland security, national defense, the air-traffic system, and on and on. Instead we are careening toward economic disruption triggered by outrageous demands that jeopardize the economy and endanger the most vulnerable among us. Shameful is the only way to describe it. Norm Ornstein is a contributing writer for The Atlantic, a contributing editor and columnist for National Journal, and a resident scholar at the American Enterprise Institute for Public Policy Research.